Celebrate the joy of spring with beautiful new additions for your garden. The University of Tennessee Gardens, Knoxville, will hold its annual Spring Spectacular Plant Sale on Saturday, April 6, 2019, from 9 a.m. to 2 p.m. The inventory for this sale is selected for ornamental appeal, plant hardiness and environmental adaptability. Many selections will not be found easily locally and may be new to the market. Shoppers should find true garden gems to add to their home landscape. Professional horticulture staff and Tennessee Master Gardeners will be available to answer questions and provide design advice. 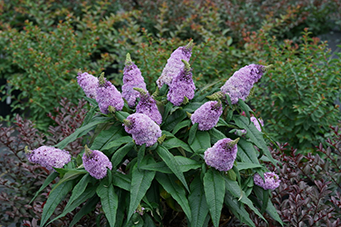 Pugster 'Amethyst Blue' Butterfly Bush​ will be among the interesting plants offered for sale at the 2019 Spring Spectacular Plant Sale by the UT Gardens, Knoxville. Image provided by Proven Winners.